Great Lakes Brewery spokesman Troy Burtch says he doesn't think many breweries will accept Ontario Premier Doug Ford's "buck-a-beer challenge." Great Lakes Brewery spokesperson Troy Burtch says he doesn't think many breweries will accept Ontario Premier Doug Ford's "buck-a-beer challenge." Ford announced Tuesday he would introduce legislation to lower the minimum price of a bottle or can of beer to $1 from $1.25 ahead of the Labour Day weekend. Brewers will not be required to charge less. 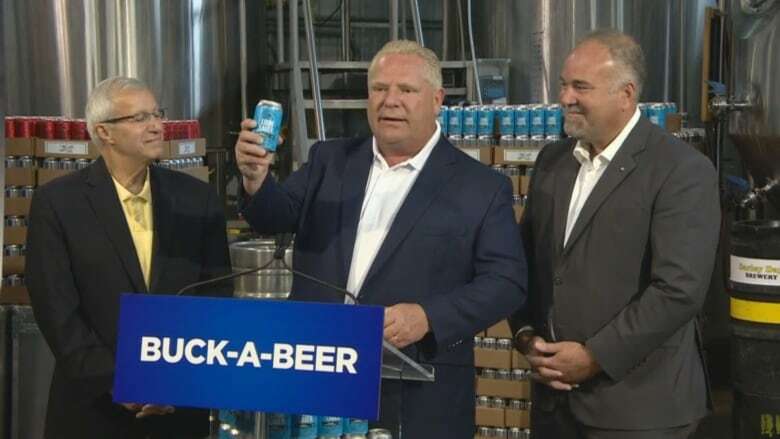 Instead, Ford said the province will encourage Ontario's 260 breweries to participate by offering incentives such as exclusive promotions and advertising advantages in LCBO stores and magazines. Burtch spoke to As It Happens guest host Matt Galloway about the premier's proposal. Here is part of their conversation. Troy Burtch, you just heard Premier Doug Ford call on breweries like yours to take that buck-a-beer challenge. You in? We are not in, no. We feel that buck a beer diminishes brand. It's something that has a perception of cheap and weak, if you will, not in terms of alcohol, but something that just doesn't benefit a company that cares about the community and engagement with consumers. What's going to be in that cheap beer, though, that's selling for a buck apiece? You're going to get what you pay for. It's going to be a beer that has no flavour. It's going to be a beer that, for lack of a better word, it's going to taste watered down — and it may well be. I work for an Ontario craft beer company. <br><br>Yes, I'll sell you a $1 beer.<br><br>It'll be in a 2oz glass, because I understand that good beer costs good money to produce. But why not see this as some sort of challenge? That in, you know, the spread of beers that your brewery creates, you could create one that sells for a bit cheaper that might, you know, be still within the standards that you've set? 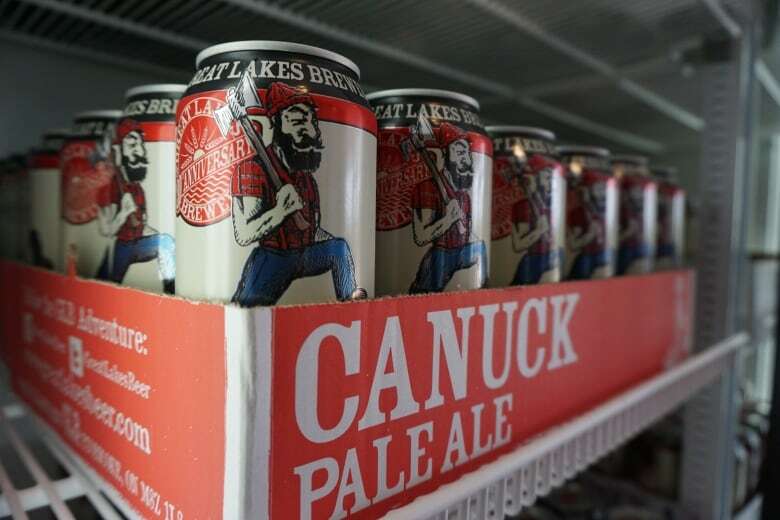 Our flagship brand is Canuck Pale Ale. We did some number-crunching today, and if we were to sell a can of our Canuck Pale Ale that sells at the LCBO for $2.80 currently ... to the LCBO so that they could sell it on store shelves for $1, with the taxes, deposit, basic price adjustments, it would literally be selling it to them for 13 cents. We can't run a business that employs approximately 50 people and put on community initiatives and participate in local charitable groups and activities with undercutting our beer that much. We heard from the premier ... suggesting that there will be no financial incentives. Instead, those who participate in this challenge, as he's calling it, could get front-row shelving at the LCBO, could get advertising in the magazine that the LCBO produces. To a brewer like yourself, how important and how valuable is that sort of placement? In June, we purchased end-aisle displays for our Canuck Pale Ale in the lead up to Canada Day and we did approximately 380 stores over four weeks, and that cost just over $7,000, plus tax. That's a lot of money that suppliers — not just brewers, but wineries, cider and spirit companies — are paying to the LCBO. And if you start to remove some of that to give it to the bucket-a-beer challenge people or companies, you're taking money away from the LCBO, which in turn will then take it away from providing it to the government at the end of the day. Those incentives aren't tempting for someone like yourself? They are tempting to us, but at the end of the day, we'll let our beer speak for itself, and there's no real reason for us to participate in something to make a quick buck. Since word got out about this over the weekend, there has been great discussion and debate about it. Somebody who was speaking about it was the Ontario MPP Randy Hillier, who is saying on Twitter ... "As a young apprentice electrician making $7 per hour and raising a family and paying a mortgage it was welcomed that I could afford a dozen beers once a week, that was my 'real' Ontario, you pretentious snob." Do you worry that you might alienate a segment of the population who perhaps can't afford your beer? I don't think, at this point, a lot of the people that are wanting the buck a beer are currently craft beer consumers. Everyone wants to make money and be successful in this industry. But at the end of the day, our whole goal is just to get the freshest Great Lakes Beer out to the public. If you take a look a year from now, how many breweries do you think will be selling buck-a-beer? If I look into my crystal ball on Great Lake's behalf, I would say ... maybe under 10. Out of 260 some breweries in Ontario? If you are in the Ontario craft brewing industry, they understand that our whole game, our whole business philosophy, is all of them producing quality beer. If you can't do that and offer it for a dollar, I don't think you're going to see the bulk, 99 per cent of the craft brewers, slide into that challenge. Written by Sheena Goodyear with files from CBC News. Produced by Katie Geleff. Q&A edited for length and clarity.